If you stroll down the street tonight, you’d better stop for a while, raise your head and make a wish. Today is “Jeongwol Daeboreum” or “Daeboreum,” which means the first full moon of the Lunar New Year. It is one of Korea’s traditional holidays. To mark the special day, the word Daeboreum featured on Naver’s trending keyword bar Friday morning, while over 3,000 tweets were posted on the social media platform on the same day. Ancestors in the nation were believed to celebrate the day by wishing a good harvest and health for the year to the full moon at night. Since today, locals carry out special ceremonies and traditional rituals. The most representative ceremony would be eating “ohgokbap,” which means a bowl of rice made out of five different grains, including rice, millet, sorghum, red bean and bean. The ancestors used to cook the bowl with the crops as they could not easily eat those on usual days. Biting nuts, or “Bureom” in Korean, is another tradition that Koreans do in Daeboreum. By breaking the hard shells of nuts, such as a walnut, pine nut, chestnut, ginkgo nut and peanut, the ancestor wished to avoid having boils on their skin during the entire year. The number of nuts he or she broke should match his or her age, and it’s important to throw away the first nut outside. Also, people drink “ear-quickening wine,” or “gwibalgisul” in the morning of Daeboreum. Drinking the cold wine is believed to help people maintain a healthy ear condition and hear more happy news through the year. Temples nationwide are set to hold various events to celebrate the holidays. 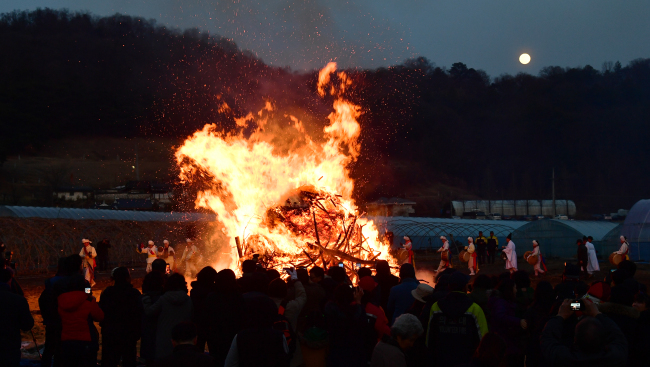 Seoul’s Hwagyesa temple will feature a “daljip Burning” event at night, a traditional ceremony which burns a pile of branches and wishes a good harvest and peace for the year. 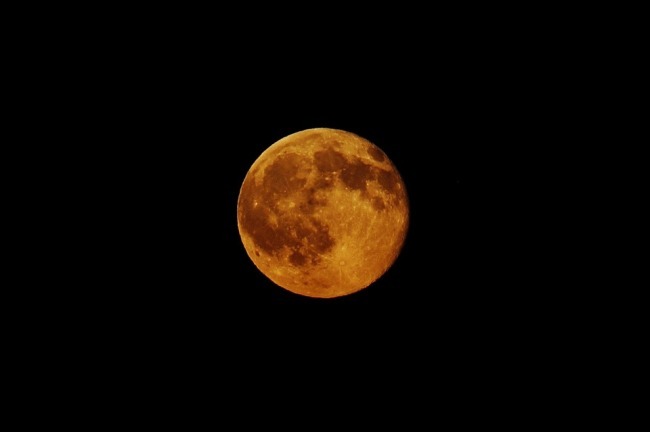 A full moon will be clearly visible in most regions in Korea Friday night. According to Korea Astronomy and Space Science Institute, the moon will rise at 6:43 p.m. in Seoul, 6:35 p.m. in Gangneung, 6:34 p.m. in Daejeon, 6:38 p.m. in Daegu and 6:36 p.m. in Gwangju.